The early years of St. Adalbert’s parish are marked with conflict and instability as priests and congregation were often at odds. Even with all this volatility, they were able to come together and establish a cemetery to bury the parishioners who passed on. The cemetery of St. Adalbert was incorporated on March 27, 1890. The 10-acre property on what was then Walden Avenue, now Dale Road, was purchased by Father Mozejewski from J. Ambrose three days earlier. In short order the land was blessed and on May 12, 1890, Ignatius Dworzanowski was the cemetery’s first interment. He was soon joined by Stanislawa Cwiklinska and Franciszek Tabaczynski. Following the split of the Holy Mother of the Rosary Church from St. Adalbert’s Basilica, Father Flaczek began to plan ahead for his parish. On December 3, 1913, he purchased Charles Ney’s 11-acre farm on Dale Road, east of the old cemetery and just past the Holy Mother of the Rosary’s cemetery. It would take almost 20 years for the first burial at the new cemetery, but on November 23, 1933, 25-year-old Sophie Kopydlowska was laid to rest. Sophie, who was buried in Section A, line 1, grave 1, soon had a neighbor when Wiktorja Rzoska was buried a week later. Due to the health issues of the bishop, St. Adalbert’s second cemetery wasn’t formally blessed and dedicated until July 20, 1935. As many of the early parishioners of St. Adalbert’s passed away and the expanding railroad shaved off a few of the rear rows, Father Joseph Stelmach began looking for a more land. 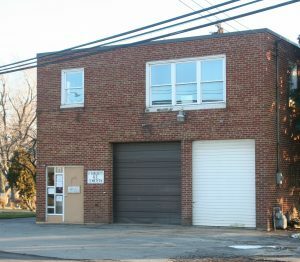 Since much of the area around the old cemeteries had been developed, he looked well beyond the limits of the suburbs until he found a place in rural Lancaster. Located at the northwest corner of Broadway and Schwartz Road, the lot was large, free of encroaching development and inexpensive. 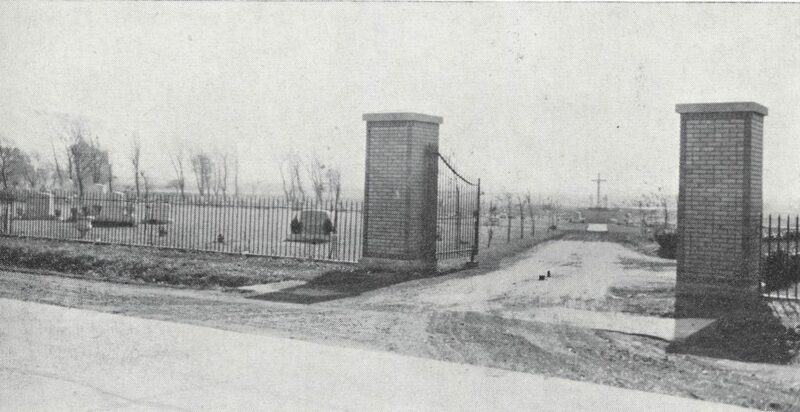 The new cemetery would not see its first interment until 1972. The cemetery was expanded upon once more when Father Bialek purchased 35 surrounding acres. This last purchase brought the totality of the cemetery to 95 acres. To further use the space, a complex of mausoleums was erected at the Lancaster location. One of the most striking graves in St. Adalbert’s first cemetery is the wooden cross of Michalina Buczkowska. In English, her marker reads, “She was born in the Kingdom of Poland 9 September 1898. She had lived 16 years Died 28 June 1914 [s]he asks for a Hail Mary. As you walk by think about how short life is and pray for my soul in this sad grave. The same fate could wait for you.” The cross seen now replaced a century-old cross carved by Michalina’s father that had deteriorated over time. In 2014, genealogist and historian Edward Kornowski, who had been repairing and repainting the cross for 15 years, organized a fundraiser to craft a new cross for Michalina. With the help of the community this new cross was carved and painted to last another hundred years. Album Pamiatkowe Zlotego Jubileuszu Parafii Sw. Wojciecha, B.M. : Buffalo, New York, 1886-1936. Buffalo, NY: Broadway, 1936. Print. Brent, Dave, and Susan Brent. "Michalina Buczkowska: The Rest of Her Story." Searchers 68 (Spring 2015): 4-6. Print. Michalina Buczkowska 1898-1914 Wooden Cross Blessing. N.p. : n.p., 2014. Print. "WNYer Seeks to Restore a 100 Year Old Grave Marker." Am-Pol Eagle Newspaper, n.d. Web. 25 Dec. 2015.